We are proud to be announced as a winner of the 2017 Deloitte UK Technology Fast 50 for a third consecutive year! 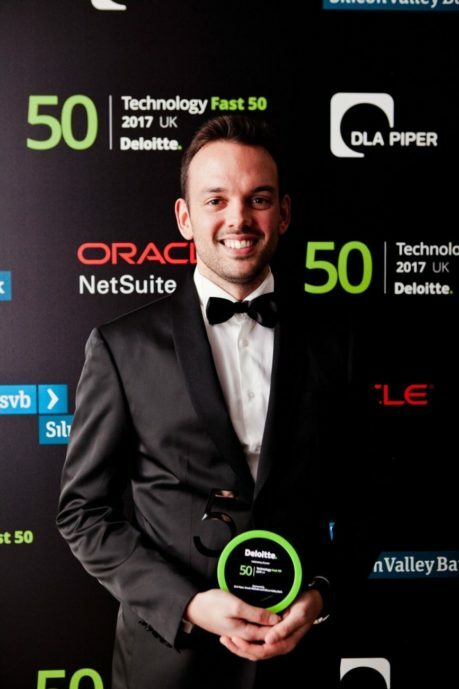 he Deloitte UK Technology Fast 50, one of the UK’s most prestigious technology awards programmes, is awarded to Tech companies with exceptional revenue growth in the past four years. Ebury’s tremendous growth in this period has been grounded in its commitment to provide small and medium-sized businesses with the best financial solutions to expand their international ambitions. ‘This accolade has only been possible due to our loyal customer base and our dedicated teams. Being included in the Deloitte UK Technology Fast 50 for three consecutive years is a reflection of our commitment to continuously improving our technology, products and services to better serve UK SMEs,’ added Paolo Giabardo, UK's Country Manager. At Ebury we use technology to enable businesses to grow across borders and trade where and in which currencies they need, all securely and efficiently. We provide a truly unique combination of lending, currency and payment solutions to over 24,000 organisations across 20 countries in Europe and North America.